Versatile in styles ranging from Baroque to Contemporary and Jazz, Yoshiko Arahata maintains an active performance and teaching career in the US, Asia and Europe. 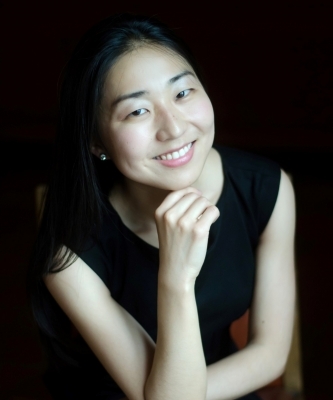 Top prize winner of international competitions including Bradshaw and Buono and Los Angeles Liszt, her recent highlights include performances at Amalfi Coast International Festival (Italy) and Ritos Project (Greece); concerto with Ossia New Music; Garth Newel Chamber Music Center; and performance with renowned violinist Charles Castleman. Dedicated to artistic growth, Arahata frequently premieres works by living composers and collaborates with dancers. She presented at 2019 International Society for Improvised Music conference and serves on the committee for the National Conference of Keyboard Pedagogy. Arahata studied piano performance at Northwestern University (M.M.) and Eastman School of Music (B.M., D.M.A. ), where she received the Excellence in Teaching Assistant Award. Her primary teachers include Barry Snyder, Alan Chow and Enrico Elisi, with whom she served as his teaching assistant. Currently, Arahata is an adjunct lecturer/instructor at SUNY Geneseo, Nazareth College, University of Rochester and Eastman Community Music School and a faculty at the Blue Lake Fine Arts Camp.